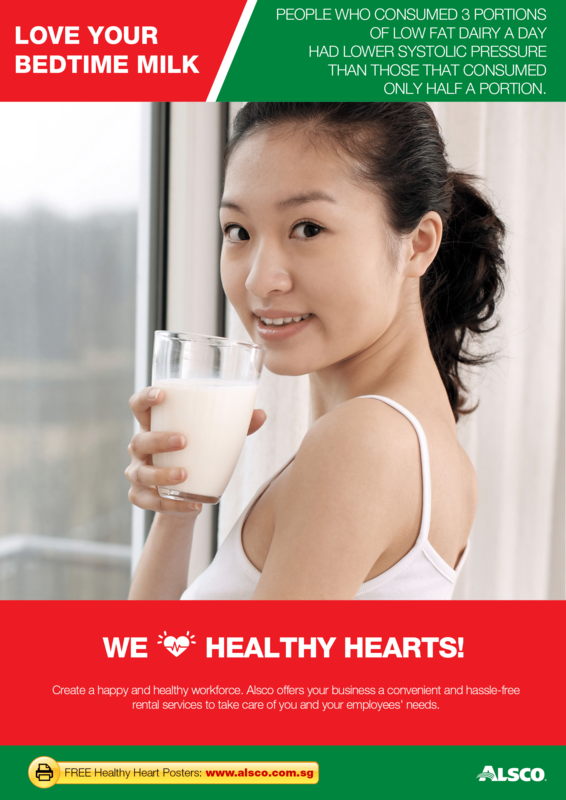 In Singapore, nearly 1 of 3 deaths are caused by cardiovascular diseases (heart diseases and stroke). 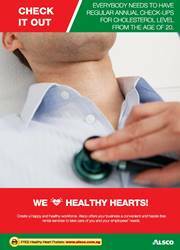 Heart attacks can happen anytime and anywhere, even at the workplace. 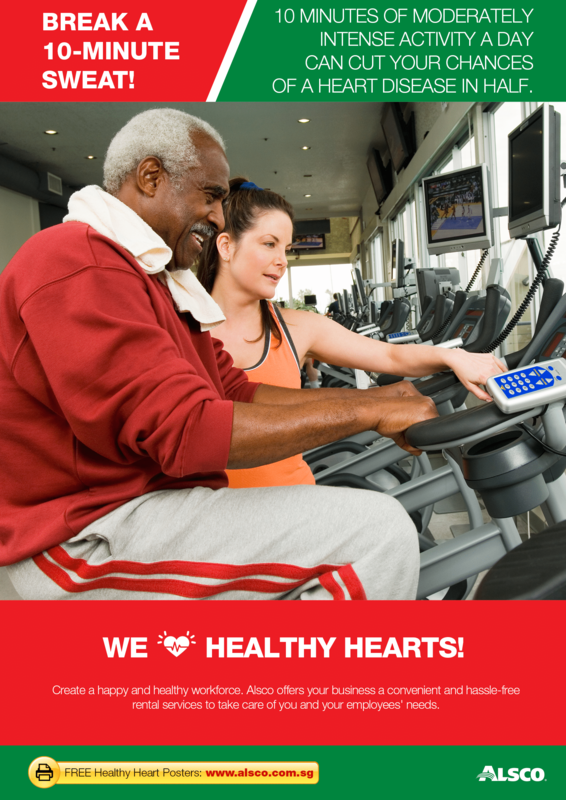 That is why, it is important to promote better heart health at work. 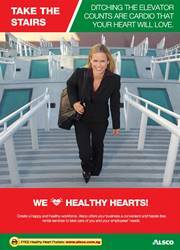 Alsco values the health of your employees. 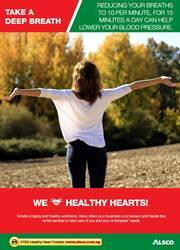 We offer this free range of useful posters that would help promote workplace heart health. 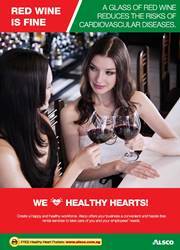 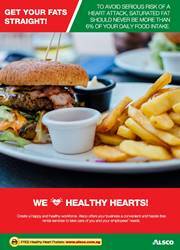 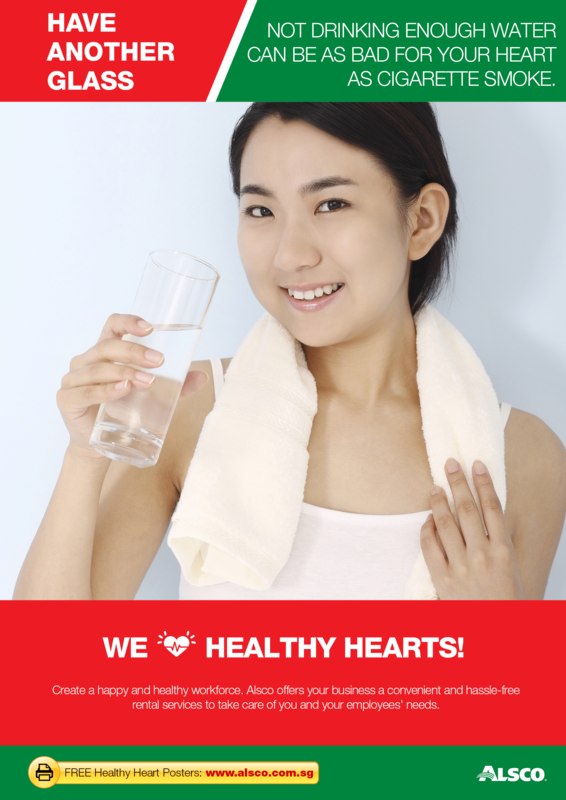 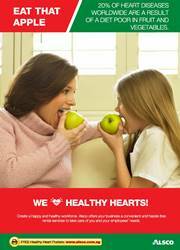 These posters have inspiring and informative heart health messages to encourage your employees to make healthier choices, remind them how to take care of their hearts and as well as their overall health. 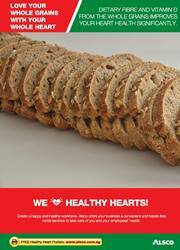 Share these with your officemates and colleagues. 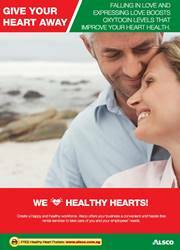 Get your copies for free. 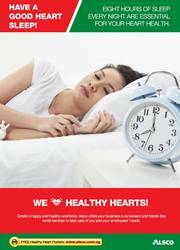 Download these useful posters and place them in your pantry, workstations, hallways and other strategic locations in your workplace. 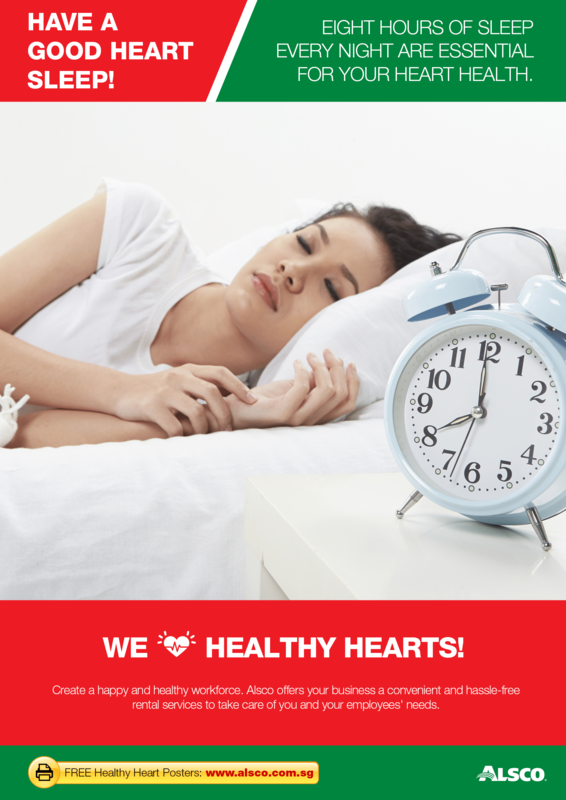 Have a good sleep at night. Tone down the tunes. 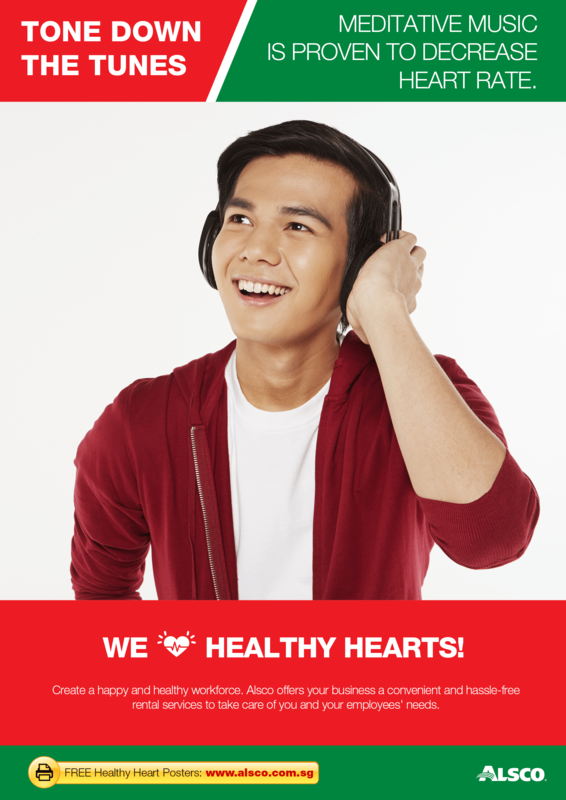 Meditate with music. 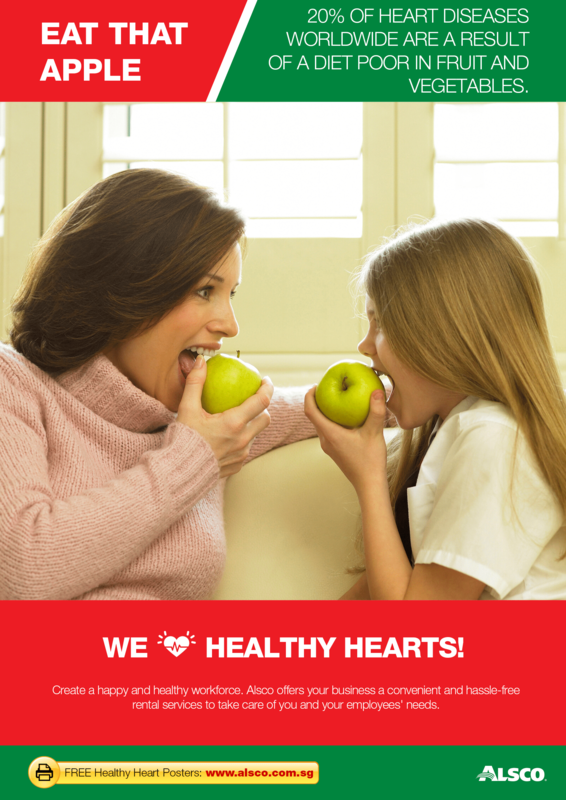 Heart diseases are caused by poor diet in fruits and vegetables. 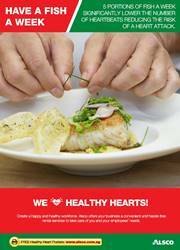 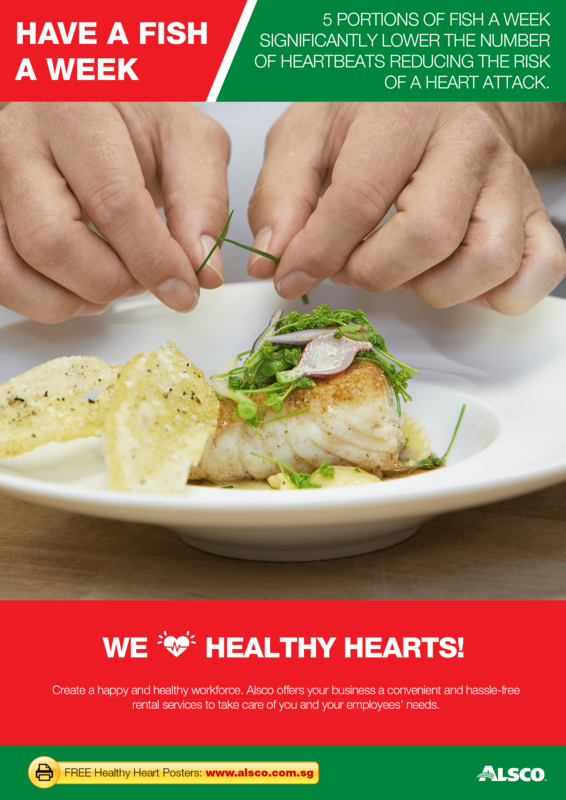 Reduce the risks of heart attack, eat fish each week. 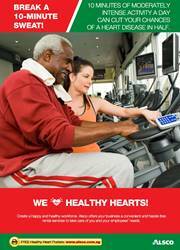 Do moderate exercise each day. 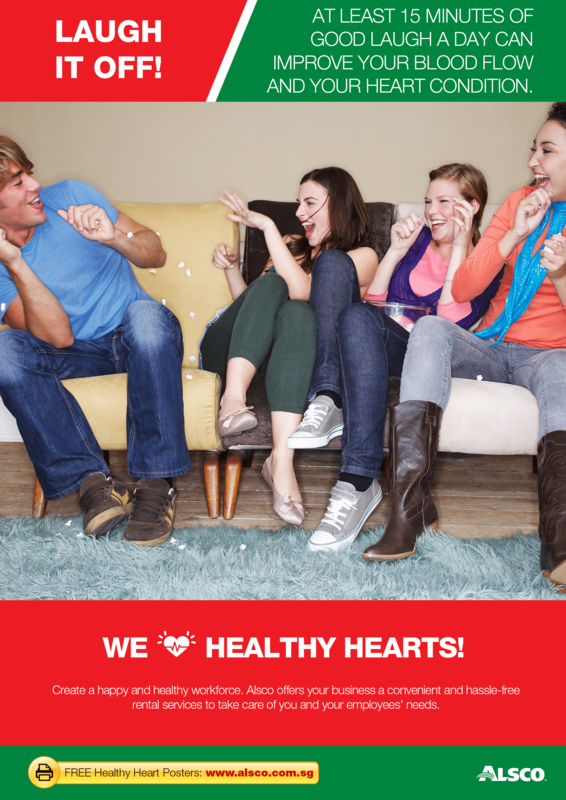 Have a good laugh each day. Stop Smoking. 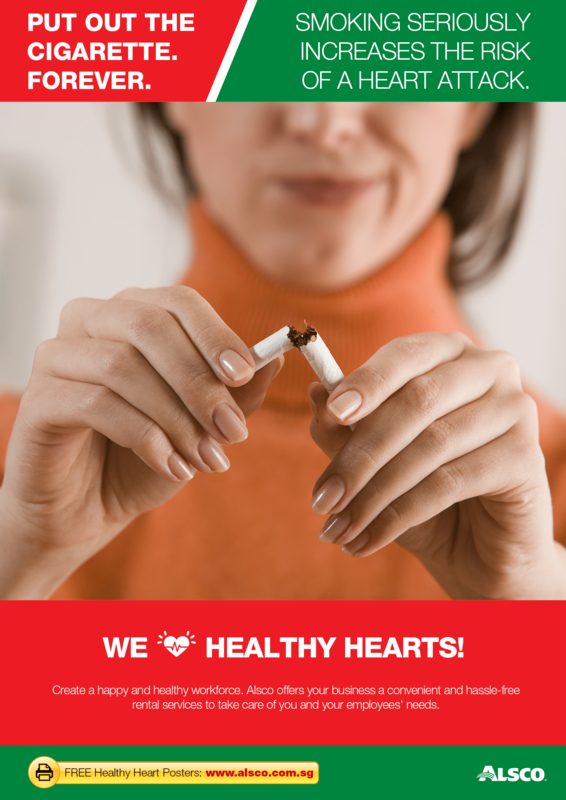 Put away the cigarette forever. Avoid saturated fat, it should never be more than 6% of your daily food intake. 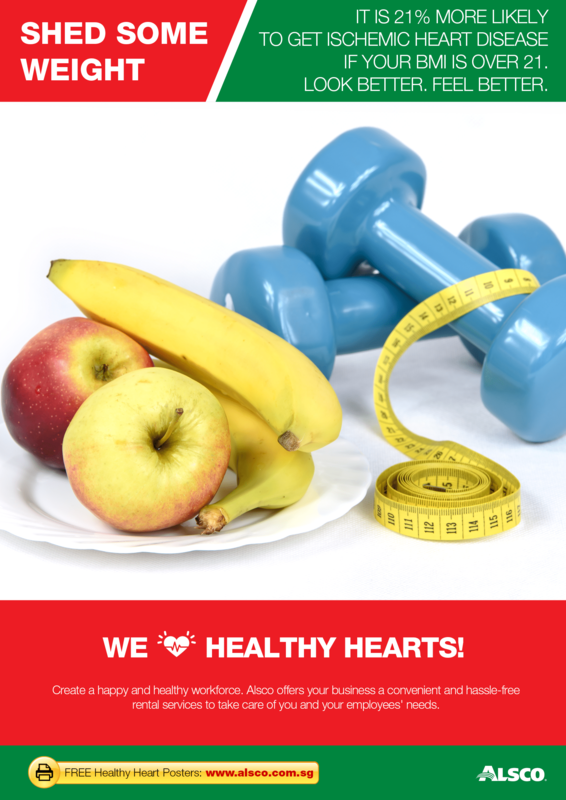 Look better and feel better, shed some weight. 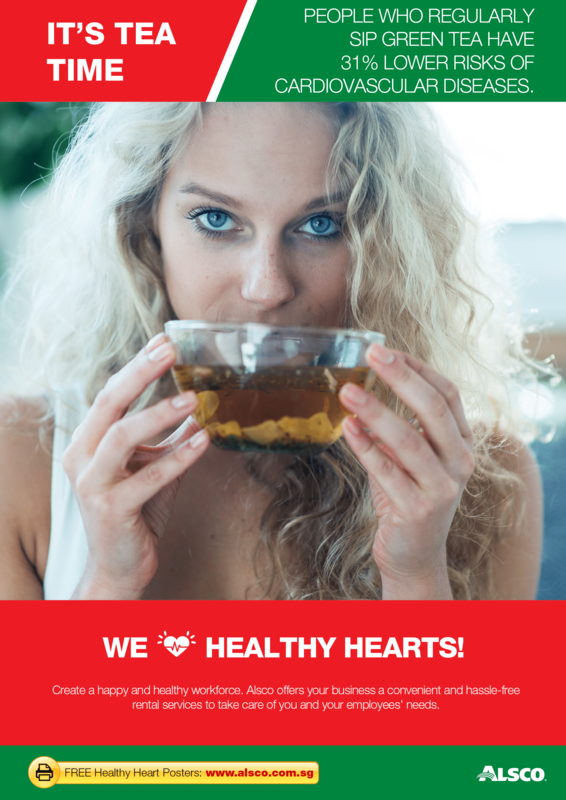 Sip green tea, it lowers the risks of cardiovascular diseases. A glass of red wine is fine. 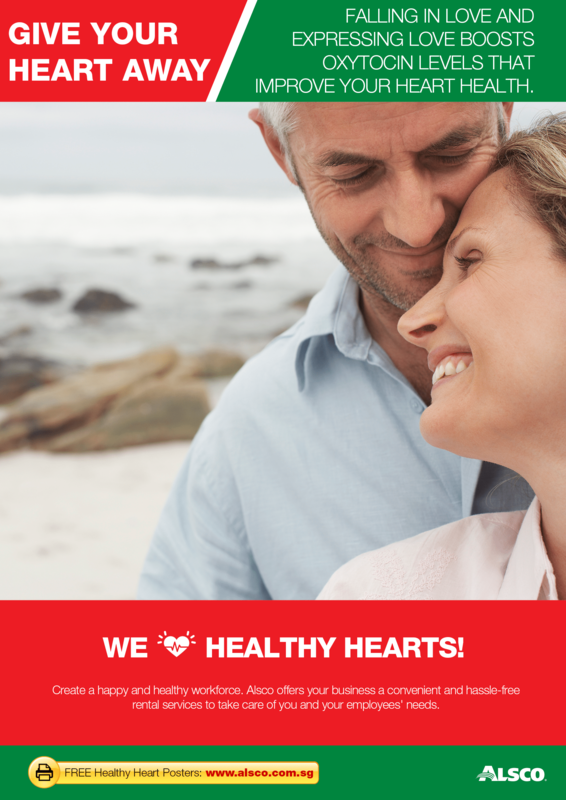 Love boosts oxytocin level and improves your heart health. 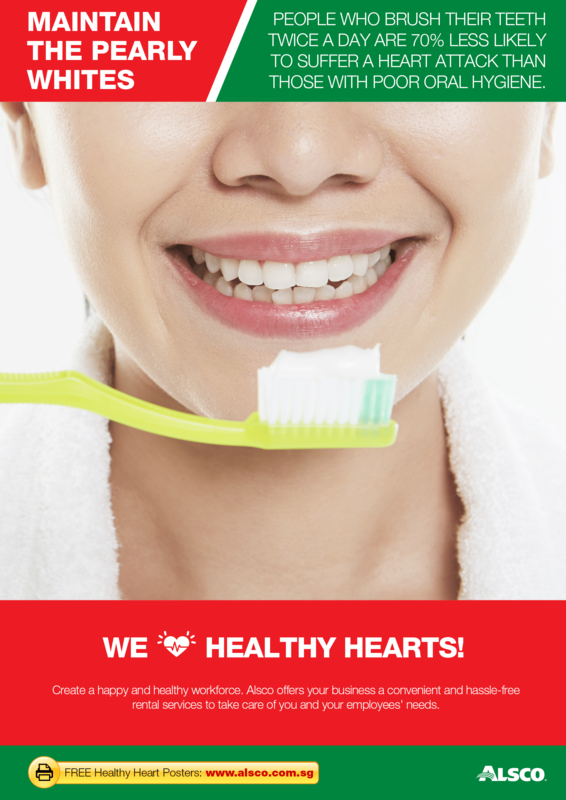 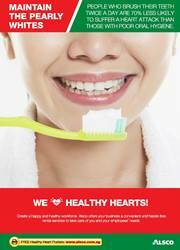 People who brush their teeth twice a day are less likely to suffer heart attack. 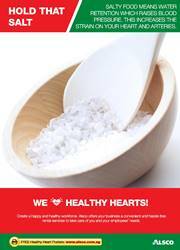 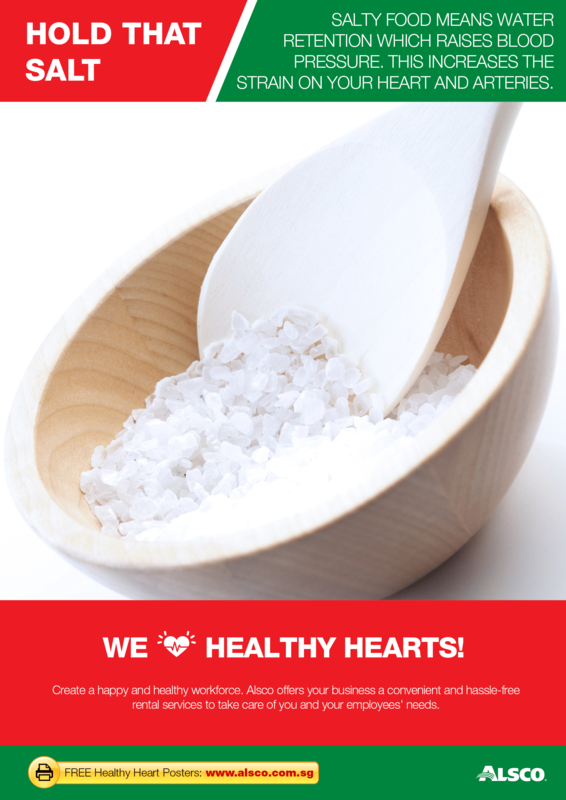 Salt increases the strain on your heart and arteries, reduce it. 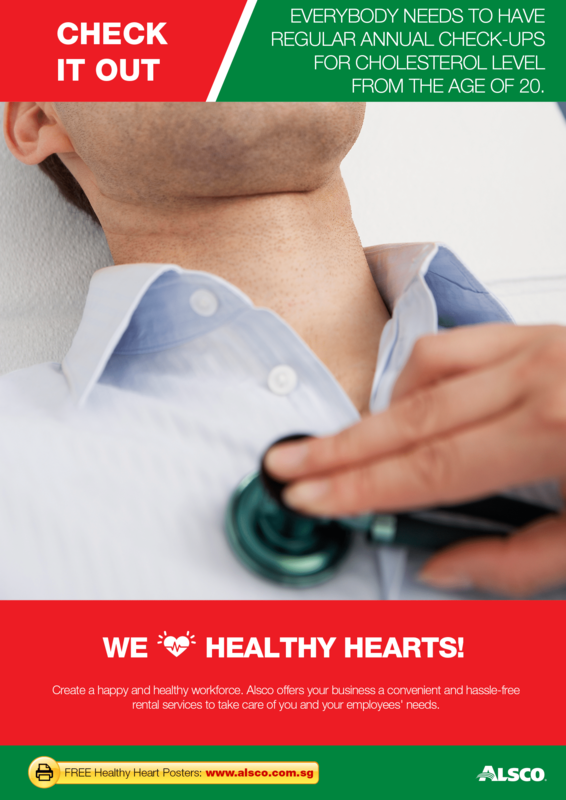 Monitor your health with regular check-up. 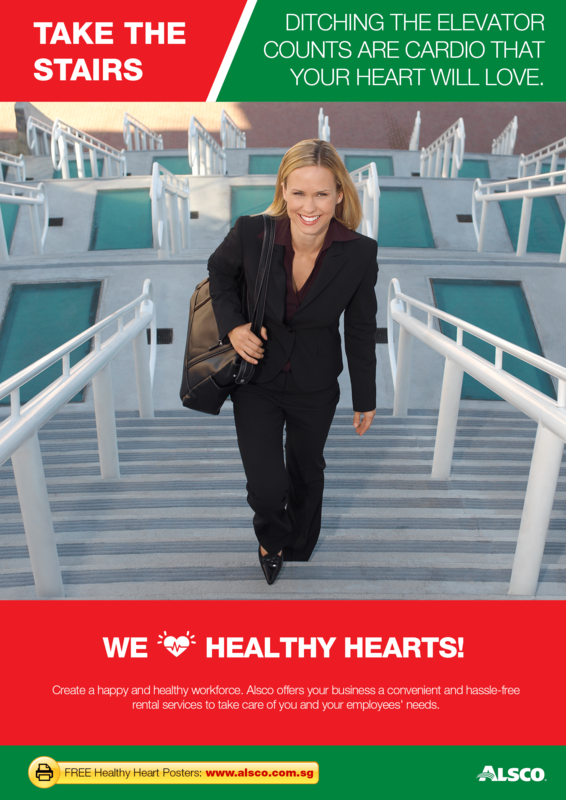 Do simple cardio exercises, take the stairs. 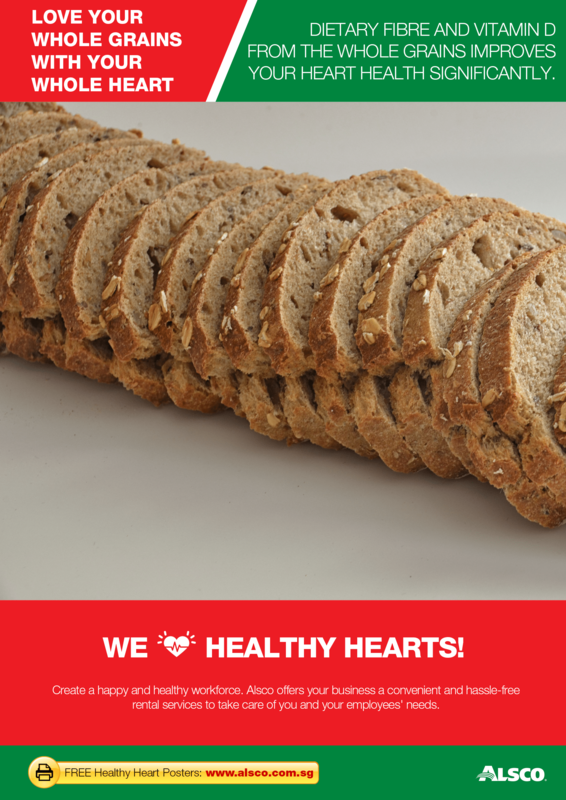 Whole grains are rich in fiber, include them in your diet. 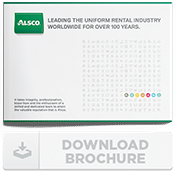 Our friendly customer service team can help you with a customised quote, service information or choosing the right product.